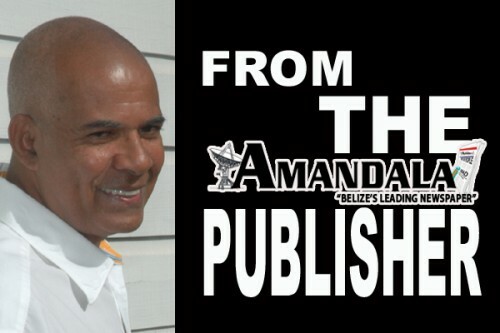 To be young, street, and black in Belize City today is to be treated as a criminal or potential criminal, every day and every night, by groups of police officers driving around in pickup trucks with United States flags painted on them. If there is a major crime committed, such as murder or armed robbery, young, street, and black from certain neighborhoods can be arbitrarily grabbed, provoked, insulted, beaten, confined and held for 72 hours without any charge and without any real evidence. It’s bad on the Southside. There are Southside-like areas on the Northside, such as Majestic Alley, Pink Jungle, and Kelly Street, but there are many more such areas on the Southside itself. The police, or more roughneck units linked to the police, can kick down your door in the middle of the night, terrifying you and reducing your manhood in front of your womenfolk – your woman, your mother, your grandmother. All your womenfolk, even your daughters, sometimes become exposed and humiliated, and this represents a direct attack on your manhood. Your only “mistake” may be to live in a ‘hood designated as “crime-ridden” by big people. Not everyone in a “crime-ridden” area is a criminal. Straight. The thing is, such treatment is going to make you angry, sometimes righteously so, but the power of the law, which is a power derived from the government/state as a legally organized institution, is real, so real that it is advisable that you do not retaliate. This can become your life: daily provocation from the authorities and no effective means of response or retaliation. You cannot afford an attorney, because, by the very definition of your status, you do not have the money to pay such a legal expert. This week one of our workers came to me and he was on the verge of losing control. We looked at his situation, and then I told him a story. Many years ago, I had been where he was, and I had a good idea of how he was feeling. I was teaching the impressive 3A class at Wesley College one day in early 1972, and a rookie policeman came to my ground floor classroom. Apparently one of our students, Elbert Miller, Jr., had mocked him in some way in some public place over the weekend, and he wanted access to this student. But, he was just a rookie cop, and it seemed to me that he was going about this the wrong way. I was the president of UBAD at this time, I had been arrested several times on all kinds of charges, tried in Supreme Court on two different occasions, and I was probably on bail at the time for other charges. I didn’t cooperate with the rookie policeman, and the students, of course, all supported their fellow student. Apparently, after the policeman went off, he began to nurse a grudge against that student, and it was such a bad grudge that, some time afterwards, he “chanced” Elbert’s younger brother, Trenton Miller, clubbing him in the head so brutally he almost killed Trenton, who had to be hospitalized. I don’t remember if that clubbing occurred before or after the incident involving myself which I’m about to relate. This is still 1972, which was the most confrontational year between the PUP government and the UBAD organization. One night I was at our family home at #1 West Canal Street. (My parents and four of my younger siblings had moved to Belmopan in 1970.) My younger brother, Michael (now deceased), who lived there with me, had gone to a movie at the Eden Theater (North Front Street) along with Michael Finnegan and a young footballer, Sammy Gentle, who was also a student in 3A at Wesley College. I was probably asleep when Sammy came by to tell me that after the movie a group of them took the short cut (east to west) across the flow of traffic on Swing Bridge, instead of going all the way around by the Central Market and then crossing by Augusto Quan. I suppose they were breaking some kind of law, but everybody did it late at night. What this policeman did that night, and he was the same policeman from the Wesley College 3A incident, was pick my brother out from the crowd and take him to the Central Police Station on Queen Street. I became very angry. Well, walking from canalside up Regent Street West across Swing Bridge going to the station (I guess Sammy was with me), I was losing control of my emotions. When I reached the vicinity of the Angelus Press, I met Finnegan and my younger brother. Some other, more experienced policeman must have seen the absurdity of the situation and decided to release Michael. But, I was so angry I was out of control. I continued on to the station, where there was a group of policemen standing at the main entrance to their compound, and began to curse and threaten them indiscriminately. They immediately tried to subdue and arrest me, of course, and we began scuffling. They took me upstairs, where I met then Corporal Sam Rhaburn, the officer-in-charge. They slapped all the usual charges on me – indecent words, resisting arrest, assaulting police officers, and so on. I wanted to make a point to our worker. When you’re in a problem with the law, you have to do your very best to be restrained, because the law is so very, very powerful. Even though I was a supposedly experienced revolutionary, I lost control of myself under the pressure the law was bringing. When you do that, things only become worse. Our youth in this city are being subjected to cruel physical and psychological pressures. It is clear to me that this constitutes a sociological emergency. But our institutions of governance are not treating it as such. The pressure which caused me to snap back then was nothing compared to what these youth are experiencing. This is a volatile situation.